Beer produced in breweries from company TECHIMPEX. The breweries produced by TECHIMPEX produce all types and brands of beer, except non-alcoholic beer. Besides, one type of beer, depending on the quantity and proportion of malt and hops, achieves various flavors, as well as the concentration of alcohol from mild beer varieties with low alcohol, containing of 3.3%, with average alcohol containing of 4.4%, to a sufficiently strong beer containing 8% of alcohol and for special request more. For transportation of the brewery BlonderBeer-200 are needed 26 trucks (height: not less than 2.95 m; width not less than: 2.43 м; length and not less than 13.6 m long) or 30 HC 40 ft. containers. Company Techimpex can arrange the transportation of the brewery to the customer’s company for additional payment. 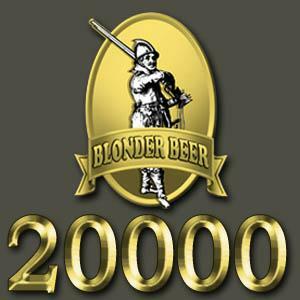 Installation and launching the brewery BlonderBeer-200 is carried by trained team of company TECHIMPEX in 30 calendar days. NOTE: Installation and launching are included in the price. OPTION 1. Company TECHIMPEX will send its experienced brew master for a period of 60 calendar days to your company after the installation and launching for thorough training of your brewers to operate and service of the brewery. NOTE: This option of the training is included in price.